The General Assembly continues their efforts to show that they are "reforming" Maryland's speed camera law while actually doing nothing, as a speed camera bill sponsored by James Malone and other members of the House Environmental Matters Committee has cleared the House. True to form, the Environmental Matters Committee has given HB929 bill a new name, "The Speed Camera Reform Bill of 2014", as politicians believe that what you call something changes what it is. The Maryland Drivers Alliance on the other hand knows that the bill does not do many of the things the sponsors promise and is loaded down with loopholes, ineffectual language, and false promises just waiting to be broken. Calls for reform were brought about due to revelations that Baltimore City and their contractor had systematically issued erroneous citations to thousands of drivers, even ticketing stationary vehicles. A recent "secret" audit leaked to the Baltimore Sun indicated error rates as high as 10% and that as many as 70,000 erroneous tickets may have been issued in one year. In addition, there have been calibration problems in places like Hagerstown, Greenbelt, and Salisbury, as well as claims of other errors in Morningside and Wicomico County. 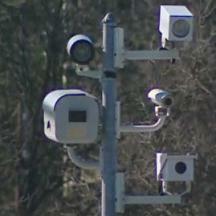 Statewide, there have been systematic concerns with the implementation of the law, such as the fact that speed camera programs have violated promises that contractors would not be paid based on the number of citations, using a loophole invented by Montgomery County, which even Governor O'Malley has stated violates the intent of state law. Last year and again this year the legislature was presented with proposals for fixing the law, some of which were fairly credible. Yet the bill the House of Delegates settled on doesn't fix any of this. We won't dignify HB929 by calling it "reform". 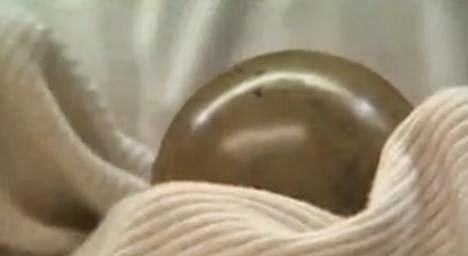 There is a more appropriate term for what the legislature is doing: Polishing Poop. If the average person could have seen the many examples of abuse close up like we have, we feel that most would agree with us that Maryland's speed camera law is a failure and should be repealed. However we are not complaining for complaining sake. We did support other reform bills which were designed to actually fix the worst problems we have seen. In 2012 we supported a credible reform bill sponsored by Delegate McComas (R, Harford County). In 2013 we supported another well written reform bill sponsored by Senator Brochin (D, Baltimore County), before it was mauled by the legislature. This year we again supported a bill sponsored by Delegate Jon Cardin (D, Baltimore County), which would have addressed many of our most serious concerns. Any one of those would have been a better place to start. The leadership of the environmental matters committee stopped all those bills cold. In fact this year Malone arrogantly stated at the beginning of the speed camera hearing before any testimony was given that only his own bill would be allowed to pass, and that their committee already knew all there was to know about speed cameras. Nevertheless we did try to be constructive, providing reams of written testimony and proposing several amendments which you can see here, all of which were completely ignored by the committee. The bill, while passed in the House, must still pass the senate and be signed by the governor before it becomes law, and could still be amended to make more meaningful changes... if the legislature is so inclined. Unfortunately the authors of this bill believe that there is nothing fundamental wrong with the way the current system works, and think the only thing they need to do is "change the public's perception" of speed camera programs. How could they possibly be credible agents for change.That is why this bill is nothing but smoke and mirrors. Not only is this bill written without regard for what the critics of the programs have called for, it almost appears to have been written to spite those who have been calling for real reform for years. All of those things would be permitted under the specific wording deliberately chosen for HB 929. There was simple language in other bills which could have closed this loophole, which has been pointed out to the bill sponsors, and rejected PROVING it IS their intent to allow such nonsense. In addition, HB 929 grandfathers in existing contracts for the next three years so local governments can wait until everyone has forgotten the promises to exercise the new loophole. The Environmental Matters Committee even amended it to give them until May 31 to lock in new contracts which will then be grandfathered in under the old loopholes as well. * The bill does not solve the problem of errors which raised calls for errors in the first place because the bill does not require that there be any means to identify speed measurement errors after the fact. Simple proposals were offered to provide the means to identify errors, and were included in other reform bills. but these were all rejected out of hand. The bill sponsors are apparently terrified that more errors might be proven if secondary evidence of speed were required. * Malone's bill actually writes into law that anything up to a 5% rate of erroneous ticket is OK (1 in 20). For a program the size of Montgomery County's or Baltimore's that would mean that having more than 15,000 false accusations per year would be considered acceptable by law. Even that is according to a narrow definition which only includes citations which the agency agrees are errors -- for example a citation voided by the court is specifically not allowed to be called an error. In addition, the 5% "acceptable" rate of errors must be across the entire program. Baltimore city found itself in a PR disaster when it was acknowledged they had a 5% rate of errors for just a few cameras. It is unlikely that even an utterly incompetent program would ever hit the threshold defined in the law as unacceptable, without independent auditing. Even then the "consequences" of hitting this threshold are quite mild unless the agency wants to exercise an option to end their contract, something they probably could have done anyways without this bill. * The SHA's program is completely exempt from Malone's bill. It doesn't apply to them at all because the SHA's program is under a different statute unaffected by HB 929. * The cornerstone of Malone's bill, which they claim fixes everything, is to require someone within the programs to be designated to respond to complaints. It is modeled after a so-called "ombudsman" in Montgomery County. However that person is really Montgomery's program manager, he is loyal to the program not the people. Montgomery County's so called "ombudsman" has only ever voided a handful of citations, and has never ordered a refund for a "systematic" problem, nor have we seen any indication that he has ever taken a position contrary to official county policy. Few people even know how to contact this person, and the bill does not require that the right to complain to this person actually be prominently displayed, so it is likely the designee would receive few complaints. The reality is this provision will only mean assigning a public relations role to an existing staff member. * One of the big things people called for was audits, Malone even said they would add "auditing". Yet the bill does NOT use the term "audit". What they have proposed is nothing like the audit which took place in Baltimore. They wouldn't look at citations for signs of errors and they would not look at calibration records. They'd just report a few random bits of easily sanitized trivia and claim everything is OK.
* The bill makes it so that contractors can operate and test equipment, and allows "operators" employed by the government to simply "rubber stamp" the results. 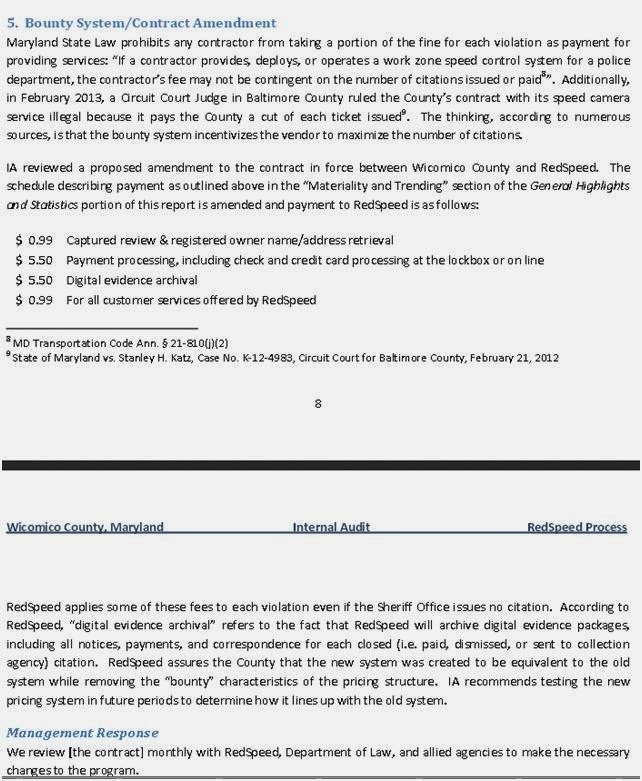 Right now in some jurisdictions (such as Montgomery County) it is already not possible for defendants to cross examine speed camera "operators". So this may actually make matters WORSE from a due process and legal rights perspective. * The bill does require each speed camera program to report a set of trivial facts to the state each year, something the sponsors will no doubt attempt to pass off as an "audit". However the bill rightly does not use the word "audit" to describe this, and it is not an audit at all. An agency cannot audit themselves. It does nothing to search for errors the way the Baltimore City audit which uncovered errors, and does not actually look at things like calibration records, daily setup logs, or compliance with other aspects of state law. The way it is worded appears to be designed to avoid uncovering either errors or calibration problems. It appears to be designed to present a favorable picture of each program, since the only "errors" it would report are those the local governments WANT to admit to, and many classes of errors such as those uncovered in court, without making it possible for any outside party to check their facts. We have tried to reach out to the sponsors of HB929 to get them to understand the problems we have with this bill. You can read our proposed amendments and read about the other bills we have supported to decide for yourself whether we trying to be reasonable and constructive. We think we have been. The sponsors of HB929 know what the problems are already, and we believe they are simply refusing to fix them because they are afraid some speed camera programs might become marginally less profitable as a result. This bill is not about reforming.... it is about obstructing reform. The thing that the authors of HB 929 do not "get" is that the single biggest problem with Maryland's speed camera law right now is that every single motorist in the state is at the mercy of every one of the 40 local speed camera programs. Even if a motorist were to conclude that some local governments are completely trustworthy, they are still left having to similarly trust Morningside and Forest Heights and Baltimore and every other county or municipality to also be both fully competent and free of corruption.... even if history does not support such a leap of faith. That lack of outside oversight and outside recourse is the core reason there have been so many broken promises. Yet HB 929's primary sponsor (Delegate Malone) has OPENLY STATED that he is just fine with that and that he thinks if there is a problem with a municipal speed camera program it is up to the municipality, and that people should not bring their complaints to the state legislature. How can you count on someone to reform a system when that person doesn't think there is anything wrong with it? That is why this bill doesn't "fix" anything. Apparently 70,000 false accusations -- amounting to an "industrial scale" miscarriage of justice -- requires nothing more than "changing public perception" in response. So Malone and his co-sponsors refuse to consider any real fixes, ignore all the real problems, and would rather "pain't it, polish it, make it shine" without changing what the law really is... and assume the voters are too stupid or uninformed to realize it. The bottom line is they can shine this all they want, but it's still a piece of $#|+.